Many groups in Charlottesville and the Albemarle County area have received books from Book Baskets over the past two decades. Below is a list of our current recipients. We are always interested in expanding our program to new local organizations; if you are or know of an interested recipient, please contact us. About 45 children from Kindergarten through 4th grade at Johnson Elementary School participate in the Abundant Life tutoring program. This program is offered once or twice a week to selected students according to academic need, and the students are assigned tutors to work with all year. Book Baskets provides books to this program several times per year so that each student can choose a book every month or two to take home and keep. The Action in Reading (AIR) program is dedicated to helping children cultivate a love of reading. AIR meets weekly during the school year in the Community Building of Mallside Apartments, which house very low-income families, for snacks, reading, and other activities. The program serves Woodbrook Elementary students in grades Pre-K through 5th. Book Baskets provides books to the program; the children may choose a book to take home and keep every few weeks. Albemarle County’s Department of Social Services Family Support Program is housed in 10 elementary and three middle schools and serves approximately 150 children per year in kindergarten through 8th grade. The Bright Stars Program has nine classrooms of 17 preschoolers plus children who are Bright Stars Alumni, up through the 5th grade. Book Baskets supplies books for the Bright Stars Program participants and alumni. Children are not allowed to visit family members who are incarcerated in the Albemarle Charlottesville Regional Jail, but often spend time waiting in the waiting room. The Director of Educational Services at the jail stocks a bookcase with books donated by Book Baskets for family members to look at while waiting. Each child can take one book home at the end of each visit. Book Baskets has also donated books to the ACRJ Real Dads program at holiday times so that Dads and Grandads can send books home for their family members as gifts. The inmates select books for their children, wrap them, and write holiday messages. The Office of Community Engagement for Albemarle County Public Schools sponsors a Back to School Festival at the Southwood Community Center each August. The Southwood Mobile Home Park comprises 350 trailers with more than 1,200 residents. Over 300 school-age children live at Southwood and most have preschool-aged siblings. The population is 96% Latino. Book Baskets attends this festival annually and each child who attends can choose two books to take home. Albemarle County runs an extensive July summer school program in most of its 15 elementary schools for any students needing or wanting extra academic experience. Book Baskets delivers enough books to the summer school teachers so that each child can choose two books to take home and keep as gifts over the course of the summer program. Some teachers have the children read their books for several minutes and then take turns telling the class what the books are about. Over 1,000 books are given out in the county schools each summer by Book Baskets. The mission of this group is to pair children ages 6-14 who are facing adversity with dedicated volunteers 18 or older who support them and enrich their lives at least eight hours each month. Book Baskets supplies a wide variety of appropriate books for their November Giving Thanks event. At this event, one of the activities is for the “bigs” to help their “littles” pick out two books for the “littles” to share with them at the event and then take home to keep. The James River branch of the Boys and Girls Club runs an after school program for children from Red Hill and Scottsville Elementary schools in kindergarten through 5th grade. Several times a year, Book Baskets delivers books to this program so that all of the participating children can choose books to take home and keep. Book Buddies is a one-on-one tutorial program that supports reading instruction in the classroom. It enlists trained community volunteers to provide instruction to first- and second-grade students who need extra support in literacy acquisition. Tutor-student pairs are supervised by reading specialists at three elementary schools. Book Baskets supplies dictionaries for each child enrolled in the program, which they learn to use in conjunction with their tutors. Book Baskets also supplies summer reading materials for each child. The Charlottesville city school system runs classes for three- and four-year old children with disabilities or performance delays as well as children from the school neighborhood. There are 19 small classes in six different schools. Once a semester, we provide a book for each child to take home. Book Baskets supports the new Family Engagment Program by donating books at their “Bus Stop Meets and Greets” events, which are held in different neighborhoods throughout the city. The events seek to promote school success by encouraging families to become more involved in school activities. As a finale to the summer school experience, Book Baskets brings books to the Charlottesville City Schools Summer School Program and allows each student to select two books for their home libraries. City of Promise seeks to improve educational outcomes and quality of life for families in the 10th and Page, Westhaven, and Starr Hill neighborhoods of Charlottesville, Virginia. Their team of service providers, neighbors, schools, and local government entities collaborate to build a cradle-to-college-and-career pathway for children. Book Baskets makes books available to City of Promise whenever they have an appropriate event. We have provided children’s books at an evening community supper event as well as books for afterschool programs at their community center. The mission of the Community Dental Center is to ensure that low-income children receive quality dental care. They are a non-profit, full-service, pediatric dental center that always accepts new patients with Medicaid. Book Baskets provides books to the CDC. Each child can choose one book after every appointment to take home and keep. Community Attention Foster Families (CAFF), founded in 1976, recruits, trains, and supervises foster families for children between birth and age 21 in Charlottesville, Albemarle, and Greene counties. Book Baskets provides books for their annual holiday gathering in December. The Emergency Food Bank (EFB) is a private non-profit that provides three days worth of food for the families that have called them for assistance. Each family can only use the EFB once a month. The EFB receives books from Book Baskets for clients to take when they pick up food (two books per child per visit). The Charlottesville Free Clinic provides access to medical care, dental care, mental health support services, and prescription medications for uninsured and underinsured adults and their families living in the greater Charlottesville/Albemarle community. Book Baskets supplies books for the waiting area. Children can choose books at every visit to take home. The Greenstone on Fifth Community Center houses a library and computer lab and conducts tutoring programs for after school youth in kindergarten through 4th grade. Book Baskets board members visit the Greenstone Community Center monthly and get to know the children; we learn what specific titles interest them and try hard to supply those books when possible. Most recently, we have been arriving in the early evening, when all ages may visit the center, and have provided books to both older students we have known in previous years, as well as to “newer” teens as old as 9th grade. In addition, we have provided books to kids of all ages and also to parents during annual community events, often held in the evenings. Over the course of our involvement, we have seen a major increase in reading interest. Habitat for Humanity is a national organization that seeks to bring people together to build and rebuild homes and communities while catalyzing new pathways to safe, decent, affordable housing. Their ultimate vision is to create a greater Charlottesville community where everyone can find a decent place to live. Book Baskets supplies books that are offered to children whose parents are attending training sessions designed to help homebuyers in the process of building homes. Each child can choose two books to take home at each of these quarterly meetings. Book Baskets supplies books to the Health Department to be given to children when they go in for checkups and vaccinations. Each parent/child pair is able to choose a book for the child to take home at the end of the visit. The mission of International Neighbors is to serve our refugee neighbors by​ offering a network of support services, people, and opportunities that will foster a path to self-sufficiency and productive citizenship. Book Baskets distributes books via Great Neighbor Gatherings, which are informal, theme-based gatherings held within the neighborhoods where refugees reside. 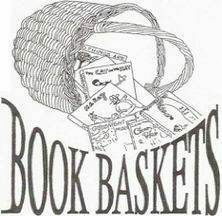 Book Baskets provides books at these monthly gatherings and each child can choose two books to take home and keep. CHiP is a home visiting program serving low-income children 0 to 6 years of age and pregnant women in Charlottesville as well as Albemarle, Louisa, and Fluvanna counties. Each enrolled family receives the services of both a Family Support Worker and a nurse. One of their three main goals is to give parents the knowledge and confidence to be their child’s first and best teacher. Each year the CHiP staff make over 4,000 home visits. At every visit, CHiP staff members bring a book for each child, provided by Book Baskets. They use the books in a variety of ways, but primarily to increase literacy in children by encouraging parents to read to their child. The MACAA Head Start Program provides a comprehensive early childhood development program for three- and four-year old children from families in greatest need. Head Start children participate in a wide range of educational activities designed to enhance school readiness. Book Baskets provides books to the program so that each student can receive a new book twice a year to take home and keep. Healthy Families fosters nurturing family relationships for pregnant mothers and safe environments for young children up to five years old. Family Resource Specialists meet weekly with parents to explore fun, free, and easy activities for parents and children to do on their own. Book Baskets provides English-Spanish and English books for this program as needed for the Family Resource Specialists to offer to the children during home visits. Play Partners currently serves around 10 groups of preschool-aged children who are located in either home-based or subsidized day care centers. Trained pairs of volunteers go weekly to read books and create book-based games, songs, and learning activities for two- to four-year olds. Book Baskets provides many of the books that are read for four weeks and then presented to each child. This builds little home libraries for each of these children who receive seven to eight books per school year. Ready Steps brings regular early learning playgroups to children and caregivers within their home communities. Parents with children ages infant to five years old can attend, and older siblings and other family members are welcome. Weekly groups meet at Agnor-Hurt Elementary, and in the Greenstone on Fifth, Westhaven, Southwood, and Friendship Court community centers, but all local families are welcome to attend. Book Baskets provides English-Spanish and English board books for each child in these groups when requested. The Infant & Toddler Connection of the Blue Ridge is a local early intervention program under the Commonwealth’s Infant & Toddler Connection of Virginia. This program serves over 600 families in the Charlottesville and Albemarle area, including Fluvanna, Greene, Louisa, and Nelson counties, by offering free screening and support services for children birth to age five who are not developing as expected. Workers visit families regularly in their homes, and Book Baskets provides books for this program to be used as gifts during home visits. The Ronald McDonald House of Charlottesville is the only local organization that provides a temporary home-away-from-home for families whose children are receiving treatment for a serious illness or injury in Charlottesville. In an effort to lessen the burden, reduce stress, keep the family intact, and enhance quality of life for these families, they provide affordable housing in a caring, home-like atmosphere. Annually, they host between 800 and 1,000 family stays. A stay could be an overnight visit or last many months. Book Baskets delivers books monthly that can be used and kept by the children in the hospital or by siblings who are staying in the Ronald McDonald House. The Toy Lift Charities service area includes the City of Charlottesville and the Counties of Albemarle, Buckingham, Fluvanna, Greene, and Nelson. The organization believes that every child is entitled to a happy and enriched childhood. The Toy Lift provides toys and books to area children ages newborn through 8th grade for the holidays. Book Baskets aids in their mission by giving books to the Toy Lift Charities each year. Wee Care is a small, independent day care serving 36 children. Monthly, Book Baskets gives children ages six weeks to five years old a special book to take home and keep. Women, Infants, and Children (WIC) is a nutrition program that helps mothers and young children stay healthy and eat properly. WIC helps women, infants, and children to age 5 during times of important growth by helping women and children get the nutrition services and foods they need to stay healthy. Well children must come in for a check-up every six months. Book Baskets provides books to WIC so that each child can choose a book at each visit to take home and keep.